Fletcher Regional Park is located off of First Avenue. There are two parking lots offered at this park. One located at the north end just off of 6 Avenue NW and another one located on the south end of the park off of 1 Avenue. This park features three shale infield diamonds. 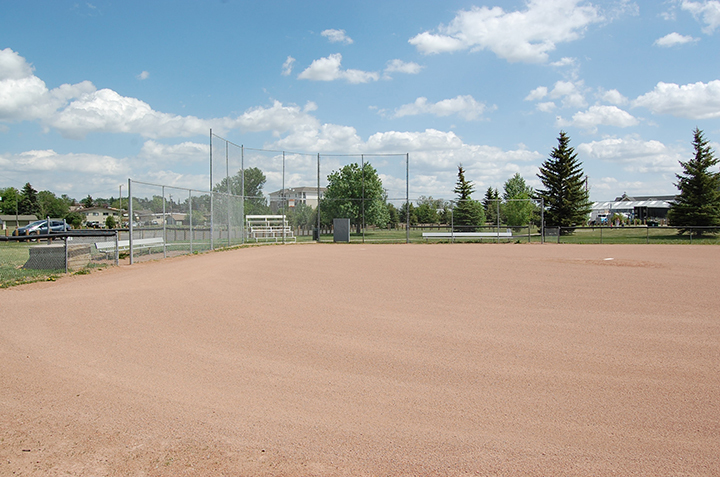 The diamonds at this park are currently being used by Airdrie Little League only. There is a concession at this park however, it is leased out from the City by Little League and alcohol is not served from this concession location. If you wish to book these diamonds for league play or a tournament, please contact the Parks department for availability. *Please note that all line painting for sports fields is done by the individual user groups. There are two basketball courts available on a first come first serve basis for residents to use and enjoy. In addition, Fletcher Park is home to the Airdrie BMX Track. This area is not maintained or booked out through the City of Airdrie. Click here for further information regarding the Airdrie BMX Track. For residents' convenience, an RV sani-station is available at the east end of the park. 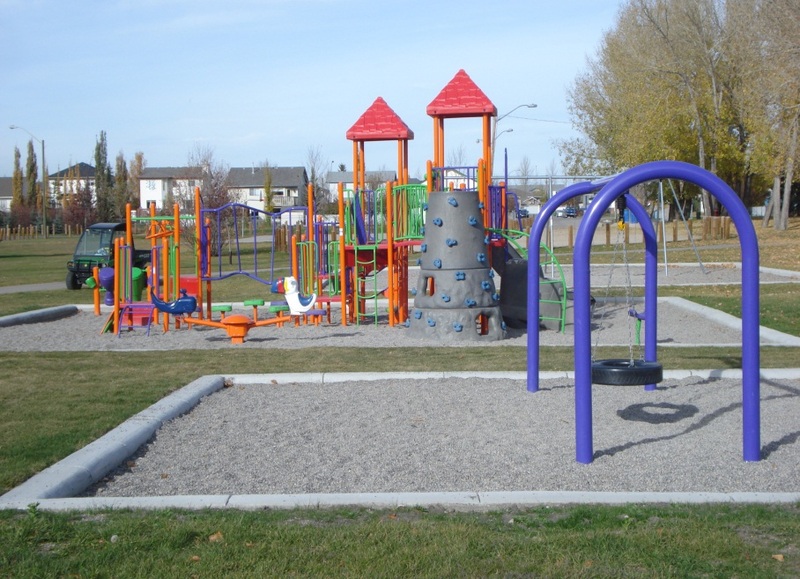 Fletcher park playground for children to explore and enjoy.